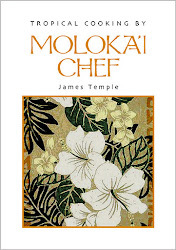 Tasting Hawai'i With Moloka'i Chef James Temple: Are You A "Shroomy"? here on the island of Moloka'i. Click on photo to enlarge. I know that I am a "shroomy". A shroomy is a person, much like a "foody", that loves to eat mushrooms, besides it sounds better than being called a "fungophile". Mushrooms have been enjoyed for many thousands of years all over the world. The practice of of eating mushrooms probably began during the hunting and gathering period, in our prehistory. They were collected along with fruits and berries, as well as other plant material that could be consumed. Today the study of mushrooms by mycologists is quite popular. 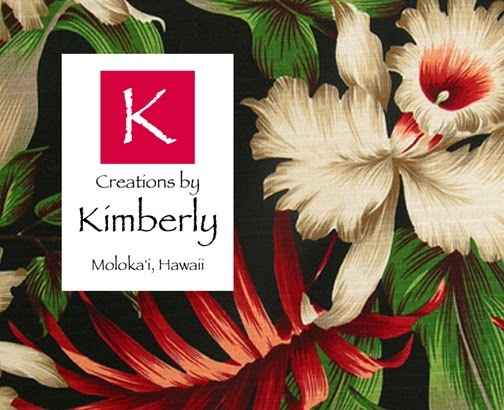 We know for example, there are over 300 varieties of mushrooms here in Hawaii that are truly unique and some not even named. 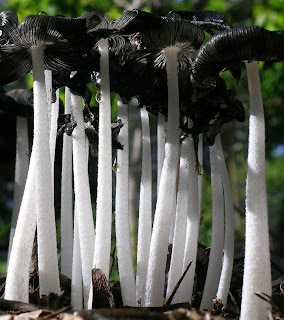 Most of these mushrooms were introduced with non-native tree species that were brought here. Some of these mushrooms will kill you or make you violently ill if eaten, like the white Amanita Marmorata mushrooms, cousins of the extremely deadly white death caps, but there are good, edible mushrooms here as well, like Laetiporus (chicken of the woods). Another reason to cultivate mushrooms locally is that extracts from fungi for food and health product additives are potential products for the mycopharmaceuticals market. 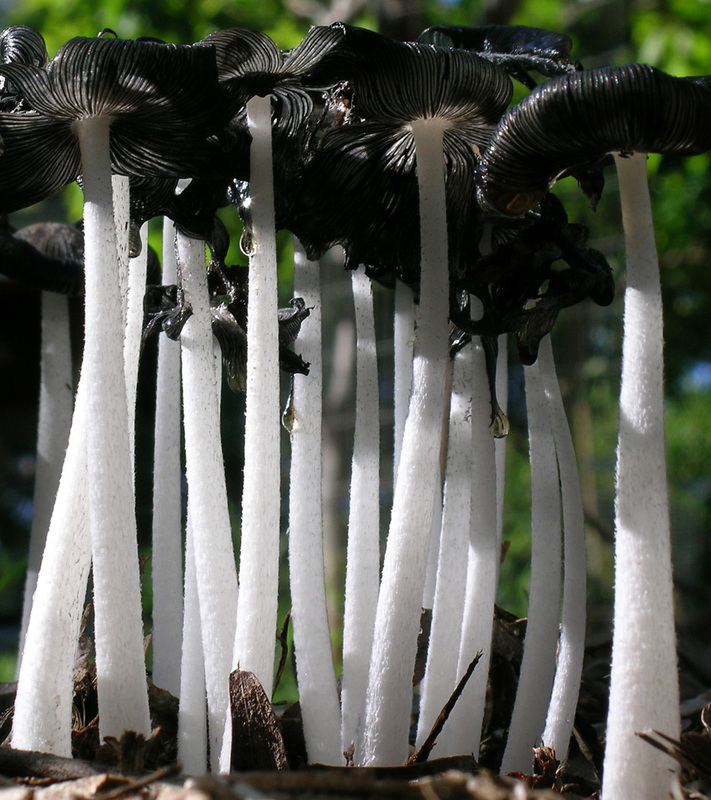 Hawaii has unique mushrooms that may have antibiotic or anti-cancer properties. There are many people around the world who hunt for wild mushrooms. Wild mushrooms deliver an earthy, sometimes meaty, flavor to foods known as umami. 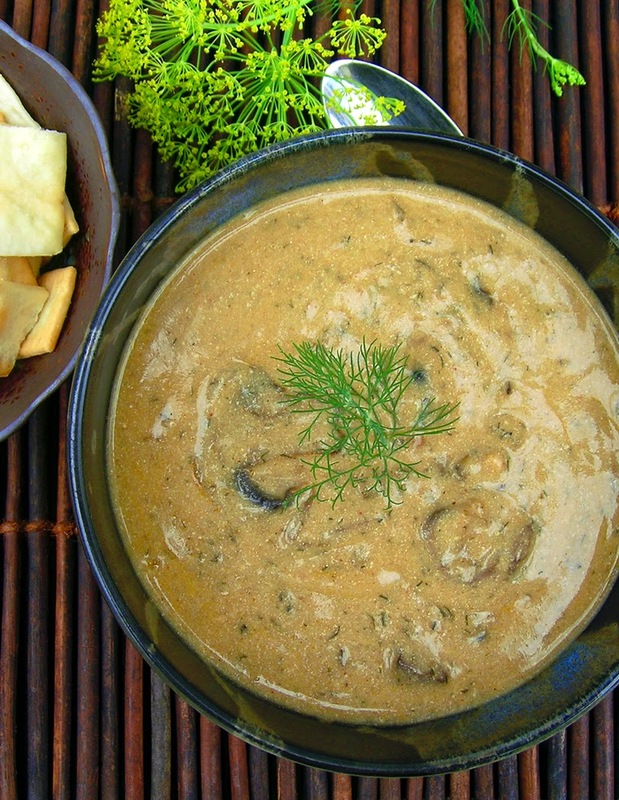 What most people don't know is that mushrooms give you maximum nutritional benefit only upon cooking. The cell wall of mushrooms is composed of chitin, which the human digestive system cannot break down. If the cell walls remain intact, the nutrients in the mushrooms will simply pass through our digestive system. Cooking will break down the cell wall and release its contents, which are digestible. Mushrooms are relatively high in protein, vitamins B and D, rich in anti-oxidants, and are fat and cholesterol free. Some mushrooms have proven to be anti-viral, anti-fungal, help control cholesterol, boost the immune system, or fight cancer. 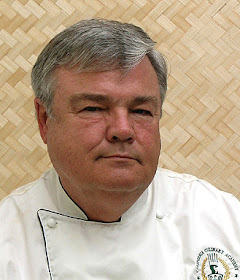 If you are interested in exploring the world of mushrooms in Hawaii, I would recommend the only comprehensive book to date, written in 2002 by Don Hemmes & Dennis Desjardin, "Mushrooms of Hawai'i". It is a beautifully illustrated book filled with detailed photographs of over 230 mushrooms species. 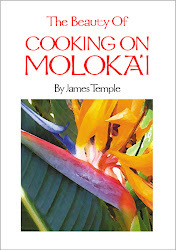 An essential reference guide for the novice or advanced mycologist, this handy reference tool provides you with all the information you need to make your foraging a success, including chapters on mushroom identification, bountiful mushroom-hunting spots in Hawaii, and a guide to the seasonality of Hawaiian mushrooms. So what about people like us, who want their fix of Morels in the spring and Chanterelles in the fall? I guess we will have to hope that Hawaii's mushroom production catches up with the rest of the world and starts producing more locally cultivated mushrooms for shroomies like me. 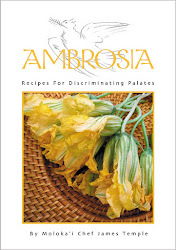 I have been making this recipes for many years. Very easy to make, and the longer it sits, the better it gets. I usually serve these as appetizers, or you can put them on a lettuce leaf and serve as a salad. Clean mushrooms and remove stems. Simmer mushroom caps in salted water for 5 minutes or until mushrooms are tender. Drain and transfer to a bowl. Add olive oil, vinegar, garlic, red onion, oregano, parsley, salt, pepper and coriander. Stir to combine. Taste and adjust seasoning. Marinate in the refrigerator for several hours or overnight. Bring to room temperature before serving. Serves 4 as an appetizer. This is an easy soup to prepare. It is thick and rich, with wonderful undertones of dill. Melt the butter in a large sauce pan over medium heat, add the onions and mushrooms and garlic. Cook until the mushrooms have released their liquids and it has evaporated, about 10-15 minutes. Mix in the flour and paprika and let it cook for 2-3 minutes. Add the broth, dill, tamari or soy sauce, bring to a boil, reduce the heat and simmer for 10 minutes. Season with salt, pepper, then mix in the lemon or lime juice. Remove from heat and serve with a teaspoon of sour cream, garnished with fresh dill leaves. Serve with crackers or hot crusty bread. Makes 4 servings. Note: If you don't have chicken broth on hand, use a 10 3/4 ounce can of Campbell's Cream of Mushroom Soup mixed with 3 cups of water. To Americans, eating fungus sounds gross, however mushrooms are fungus, so get over it. This is a Chinese dish, served as a side salad. If you haven't tried black fungus (pronounced "Mu'er" in China), you have really missed something. You can find them dried in little clear bags in Chinese stores or in the Asian section on your grocery store. They are then hydrated in warm water to cover for 30 minutes, which makes them expand to 2 or 3 times their original dried size. I love to put them in hot and sour soup, salads, even in beef stroganoff. Peel and then cut young ginger into thin strips, set aside. Rinse and cut celery into strips 2 inches long. Cut fungus into bite-size pieces. Cook celery in boiling, salted water for 2-3 minutes. Remove and put into a bowl of iced water to stop the cooking. Boil fungus for 3-4 minutes. Remove and leave to cool. Mix all ingredients for seasonings in a small bowl. Add the celery, fungus, ginger and garlic to the bowl, and then toss the mixture until well combined. Refrigerate for 30 minutes. Serve sprinkled with sesame seeds. Makes 4 servings. Note: Adjust the seasonings to your taste. I love this recipe because it is easy to make and combines wonderful flavors. Fortunately for us on Moloka'i, oyster mushrooms are now available fresh from the Big Island at our Saturday farmers market across from American Savings Bank. To make the Easy Teriyaki Sauce, whisk all the sauce ingredients in a small sauce pan and simmer on low for 3 minutes, until the sauce has thickened slightly. Brush salmon fillets with 1 tablespoon of the cooking oil, season with salt and pepper. Heat a frying pan over high heat. and cook for 3-4 minutes on each side, until just cooked through. Remove the salmon to a plate to let rest. Return the frying pan to the stove on medium-high heat. When hot, add the remaining 1/2 tablespoon of cooking oil. Add the mushrooms and saute for about 2 minutes. Reduce heat to low and add the teriyaki sauce, let simmer for 1 minute. Serve the teriyaki mushrooms on top of the salmon. Garnish with green onion, if desired. Makes 4 servings. I first had Chow Fun noodles in San Francisco, a wide rice noodle that is popular in Southern China, and here in Hawaii. They are usually stir-fried with vegetables or meat, in this case, Portabello mushrooms and ground chicken. Separate the chow fun noodles and cover with plastic wrap, set aside. Mix sauce ingredients in a small bowl, set aside. Heat wok and add 2 teaspoons canola oil. Stir fry garlic and chill sauce for 5 to 7 seconds. Add cooked ground chicken, mushroom slices, and sauce ingredients, stir-fry briefly. Separate the chow fun noodles and drop into the wok while you are mixing a handful at a time. Continue cooking until the noodles have absorbed all the flavors and are hot. Finish with sesame oil drizzled on top. Serve into bowls or plates. Garnish with fresh minced scallions. Makes 2 servings. I am a big fan of wild rice. It's sometimes very pricy to purchase here in Hawaii, so I usually order several pounds of it on Amazon.com so I always have it handy. This mixture of wild rice, brown rice and mushrooms makes a wonderful earthy side dish with chicken, pork, venison, or fish dishes. In a large pot, heat olive oil and sauté onion until soft. Add mushrooms, garlic and celery and sauté until mushrooms are cooked. Add parsley and dried herbs and stir to blend. Add rice and water or chicken/vegetable broth and bring to a boil. reduce to a simmer, partially covered, and cook for 50 minutes or until rice is tender. Fluff with a fork before serving. Makes 4 to 6 servings.